In the wake of an economic collapse in the United States and a plague that devastated Europe, the world is a darker place. Riley and her mother have been leaving in exile in Cuba after fleeing the US in the wake of the disastrous Parental Morality Act, a bill sponsored and once embraced by Riley’s own mother. In the four years since arriving, the US Government has completely collapsed, leaving only chaos behind. For the last four years, Riley has had no word from Cain, the young man that had rescued her and her mother from the US. He is a dangerous mercenary, hunted by the US government, a man with a mission to rescue and return all the children separated from their parents. When things in Cuba grow tense as the locals want what Riley and her fellow US exiles, Cain returns with a job that could give Riley and her friends the money they need to relocate to a safer area. When the US Government was on the verge of collapse, the children taken from their parents were sold overseas into child slave labor. Now the parents of one of these children has located their son in Italy and have hired Cain to retrieve him. Cain needs Riley’s help. Riley agrees, but her real mission is to rescue Olivia, her best friend that had been taken and sold into slavery in Italy. The pair leave for Italy, their relationship strained by Cain’s absence. Riley still has feelings for the man, but feels betrayed and abandoned. Feelings Olivia knows all to well. Riley’s reunion with her friend isn’t as happy as she had hoped. How can she save Olivia when Olivia wants to stay lost? This story is an emotional rollercoaster. The guilt of not being able to help her best friend has never left Riley, and now that she has a chance to help her she finds her friend broken by the years. The story is action-pack, moving swiftly, and characterized by the harsh decisions and sudden violence that characterized the other two parts of the story. Leave me Lost does not pull the emotional punches. This dystopia YA series confronts the uglier aspects of our world that we often wish to ignore. It’s great to see Riley and Cain, and the ending leaves you eager for what happens next in the series. Nothing is easy in the dystopic future, but our characters still try to make it a little brighter. Leave Me Lost is available from Amazon. In the wake of an economic collapse in the United States and a plague that devastated Europe, the world is a darker place. Crime is rampant in the US, particularly juvenile crime. When Riley’s brother is killed by gang violence, her mother goes on a Crusade to save the children. The Parental Morality Act is passed, and Riley’s mother is the face of this controversial legislature. If a parent is found unfit to raise their children for committing a crime, unemployment, alcoholism, or many other reasons, their children are placed in a boarding school run by the government. Children live in fear of the day government agents will come and take them. When Riley’s name ends up on the extraction list, despite her mother’s prominence, she is forced to flee. Riley is plunged into danger as her mother and her mother’s friend Bo make contact with a guide, a man who sneaks children and their families out of the country. Cain is a dangerous man, but will he be enough to guide Riley to safety? This young adult novel is a fast-paced read, thrusting you into the dark, dystopic future. What starts as a good idea, to save children, spirals so far out of control. Claire, Riley’s mother, is forced to confront the horrors she helped create when she championed the Parental Morality Act. The writing flows swiftly, leaving you wanting to keep turning the pages. This story is unflinching when tackling the world that Riley is put into. 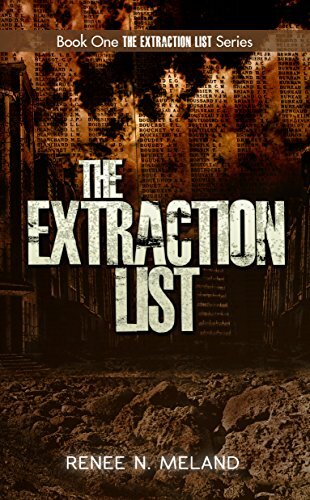 The Extraction List is a great read, illuminating the problems of depending too much on the government to change behavior of its citizens. Change through force will never be lasting change. And force is the only tool the government has at its disposal. So be careful the power you give your government. I’m looking forward to reading the sequel. 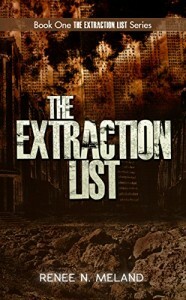 The Extraction List is avalable from Amazon.